Margarette Riggs King. Their son, one of 11 siblings, James Marion King was the father of Dr. Rueben E King. James Marion married Angeline (Angie) Blackburn. As a young man Reuben had tuberculosis and severe arthritis and was treated at the Booneville Sanitarium and Hot Springs, respectively. It was then he decided to become a doctor and bought medical books to read. Dr. King lived his life and practiced medicine in the same county where he was born. He attended Cumberland College (now University of the Ozarks), then enrolled in courses at the University of Arkansas Medical Department for two or three years, attending clinics and lectures from 1901- 1904. 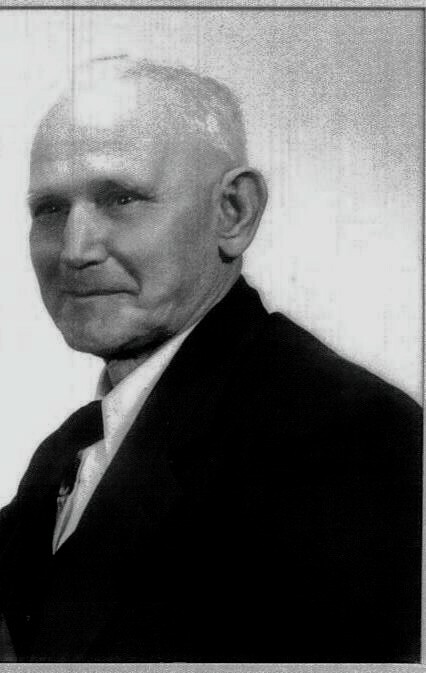 He was licensed to practice medicine in Johnson County in 1903. There is no record of his graduation from the University Medical Department. On November 20, 1901 he married Jessie Ogden King, a union that lasted for 62 years. (Jessie was of DAR heritage whose family was traced back twelve generations) The couple had five boys and one girl. Jessie kept records of patients and the medicines given them and medicines ordered or compounded at home. No other patient records were kept routinely. Dr. King owned a farm, worked it diligently and depended on it for the family’s livelihood. He charged minimal fees for his services and was often paid in produce. as a storage for his medicines placed on shelves—just out of the reach of children. He would see patients that came by and dispense the drugs from the assortment of medicines available, many his own compounds. A small office was maintained in his house. Most patients were seen in their homes. In early years he made house calls on horseback. Later he bought a 1937 Ford pick-up truck. His son, who often drove him on house calls, said he never really learned to drive and had many driving mishaps. Dr. King was an avid fox hunter and owner of foxhounds. A strong man, he was known for his ready smile, a humorous laugh and portly body. His tendency to joke and tease, was often returned unexpectedly. He was a deeply religious man and a mainstay of the Presbyterian Church in the Harmony community. Each night he read his Bible before bed time, often returning from a house call in the early hours of the morning and then staying up to read from the scriptures. A stained glass window in the Harmony church was given in memory of Dr. King. In the 1930s just after electricity became available, the Harmony community planned a “Doctor King Day” in appreciation for all he had done. A large crowd attended and he was presented with an electric refrigerator purchased with contributions collected within the community. Dr. King died at the age of 91 on November 5, 1970. He had practiced medicine until near the end of his life, about 63 years.